The Transmittal Electronic Payment System (TEPS) was developed for the use of local employers for the transmittal of pension contributions, life insurance premiums, and SACT monies, transmittal shortages, employer appropriations, health benefits and retroactive employees. TEPS is a safe and efficient system that allows payments from employer bank accounts to the NJDPB almost immediately. This ensures that payments are received safely and by the due date, as long as the authorizing transmittal is made in a timely manner. The funds transfer mechanism used for making electronic payments is the Automatic Clearing House (ACH) Debit. This simple method of payment authorizes the NJDPB to debit the employer’s checking account for the retirement system and the amounts reported each month. The cost of reporting the ACH debit is assumed by the NJDPB; however, financial institution fees for the actual transfers of funds are not covered. These charges vary in the financial industry. By Phone: In order to initiate the payment, the employer must make a toll-free call to provide the security and payment information each month. If this call is not made each month, the NJDPB cannot debit the account. At the conclusion of your call, you will be given a reference number. This number will serve as proof of your payment and a "tracking number" in the event you need to inquire, research, or cancel the item. Verification of the pension payments will appear on the monthly account statement you receive from your financial institution. Via the Internet: To initiate the payment, the employer must log on to www.payments-govonesolutions.com/njpenmenu. After logging on to TEPS, enter your location number and current password, which is the same one used with the telephone application. You will find a user friendly program that will guide you through the payment, inquiry, or payment cancellation process. To implement this system, a local employer must file a TEPS Employer Authorization Form for each pension system administered. The completed form should be faxed, with voided check, to 866-568-2495. You will then receive the TEPS access instructions and confirmation of your enrollment as the formal indication that you can begin using the system. Please retain a copy of this form for your records. 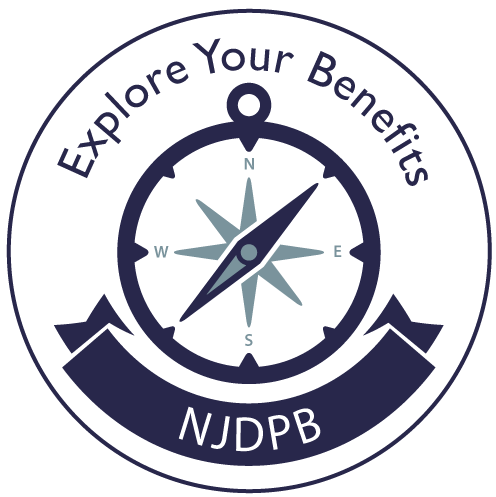 After you have submitted a properly completed TEPS Employer Authorization Form, the application is prenoted to ensure that the NJDPB has the correct banking information. This normally takes one to two days. After successful prenoting, you will be provided with detailed user instructions and a copy of the TEPS Procedure Guide. Complete and fax a TEPS Employer Authorization Form for each affected retirement system. The information is prenoted, which normally takes 12 to 15 days. Notice of Changes for TEPS should be submitted to the NJDPB on or after the date that the new checking account becomes effective. When a reporting district submits banking change information, it is established procedure to change your password. After the prenote process is completed, you will receive a confirmation notice advising that you can begin using TEPS. This notification provides the new four-digit password, which you can maintain or change at any time (see the TEPS Procedure Guide for instructions). The TEPS system limits the number of system-identified errors to two per entry field. If this limit is exceeded, you will be automatically transferred out of the touch-tone system to a live operator for assistance. Operators are available 24 hours a day, 7 days a week. The operator will prompt you through the same sequence of steps in the touch-tone version for reporting your payment. If you were transferred to the operator due to an error entry, you will be required to start from the beginning, with your Location ID number. The operator will not be able to confirm your location number or password value. For technical or enrollment assistance, you may contact the TEPS Helpline between the hours of 9 A.M. and 7 P.M. EST/EDT, Monday through Friday at 1-888-835-3345.